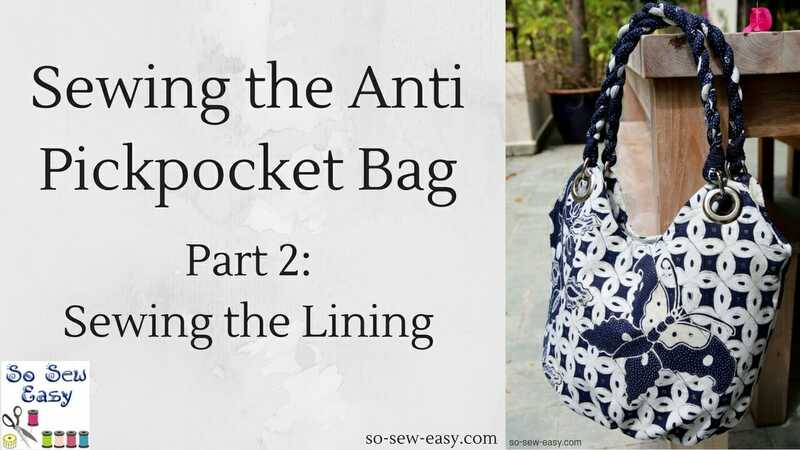 Hi, just letting you all know that we've released the second video in the Sewing the Anti Pickpocket Bag series in which we sew and assemble the lining of the bag. You can refer back to the original project by clicking HERE or on the image below. The first video in the series showing the making of the twisted fabric handles was released last week. 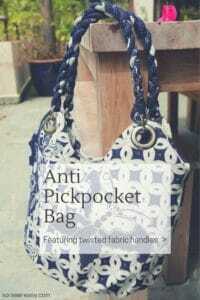 There will be a third installment of the Sewing the Anti Pickpocket Bag series in which we assemble and finish the bag. Expect that out in a few days. We've also added some guidance for using anti-RFID fabric to prevent electronic pickpocketing as well. The pattern download has already been enormously popular, with almost 6,000 downloads in the first week. In fact, the day this project launched, we had our biggest traffic day ever on our website with over 75,000 pageviews for the day! We hope this new video will help guide everyone along with their projects. I really love this bag, however, I like to have the instructions next to me while I’m sewing. I have already cut out the material for two bags and no instructions. What am I supposed to do now? My daughter and I plan on starting to sew them tomorrow and I don’t even know where to begin. Do you happen to have the instructions to print out, or have I just wasted my time and money on a pattern with no instructions?